Xiaomi is mainly known for its smartphones. But this company has a diversified production, and it offers various products. However, every Xiaomi product is made with an ambitious goal in mind – it should become the absolute leader in the niche it’s designed for. 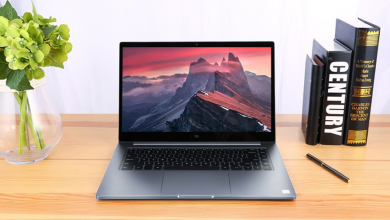 Last year when Xiaomi launched its first Air line notebooks at 12 and 13 inches, few people believed this company can make a competition to giants such as Apple and Lenovo. But the Xiaomi Air laptops were beloved a lot, and as the GDK statistics showed, they occupy about 15% of the Chinese laptop market. Thus Xioami is the third after Apple and Lenovo. This was a good hint the company should continue making laptops and come in with enhanced models. This means Xiaomi should work on a few shortcomings and improve the existing features. We have been waiting for the next-gen Xiaomi laptop for a while. The first rumors concerning the Xiaomi Notebook Pro leaked back in January. That time we learned the new laptop will come with astonishing features but cost only 6000 yuan ($863). Thus the Notebook Pro should provide top-brand-like performance, at a half price. Xiaomi notebooks have always come with a minimalistic design. This statement refers to the packaging as well as the overall appearance of the product. The latest addition to this line before the Notebook Pro was out, the Xiaomi Notebook Air 4G is the best proof of it. Back to our hero, it comes in a white packaging with the laptop’s photo printed on the top.